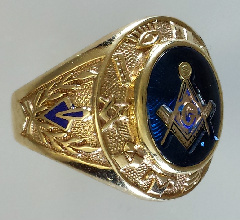 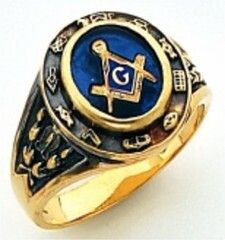 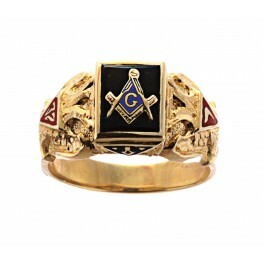 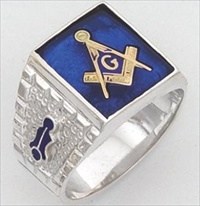 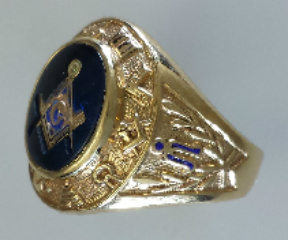 3rd Degree Masonic Blue Lodge Ring 10KT or 14KT Gold, open or solid back #409. 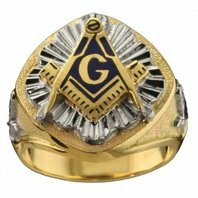 Working tools around the perimeter of the stone. 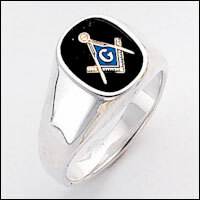 Approximately 11/16ths inch wide or about 19mm. 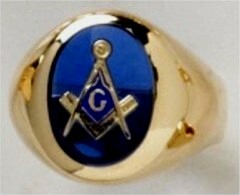 Side Emblems Enameled Trowel and Plumb.